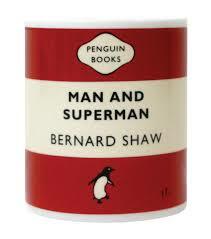 I love Bernard Shaw’s plays, mainly for their wordiness and their single-minded focus on ideas. The wordiness in particular means that these days they are not performed very often; but last week I saw the outstanding production of ‘Man and Superman’ at the National Theatre, with Ralph Fiennes playing the part of the anti-hero Jack Tanner. 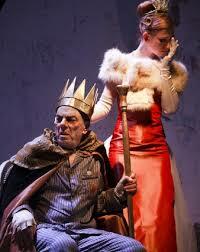 Camus and Ionesco identify hope with an absurd insistence on meaning and purpose in life. Shaw seems to agree , but for him the quest for meaning is not absurd. Tanner/Juan chooses the moral responsibility which is abjured by the Statue: when he gets the opportunity, he decides to abandon Hell, where he is free to practise ‘the tedious, vulgar pursuit of happiness’, and to exchange it for an eternity of contemplation in Heaven. This is the dream. Back in his dramatic real life, conventional romance wins out, and Tanner finally agrees to marry the woman he loves. But he rejects the idea that the object of marriage is happiness. ‘I solemnly say that I am not a happy man. Ann looks happy; but she is only triumphant, successful, victorious. That is not happiness, but the price for which the strong sell their happiness. What we have both done this afternoon is to renounce tranquillity, above all renounce the romantic possibilities of an unknown future, for the cares of a household and a family.’ The lifetime of happiness Tanner warned Tavy about is not to be his. The visit to Hell has shown him that moral responsibility is far more important. So the convoluted outcome of the play is that Tanner embraces marriage because it will save him from happiness, and position him firmly in the arena of work and commitment.